Enroll your child in one of our fun preschool programs today! Camp BioPark offers adventures for children from pre-school through grade 9. Learn more about camps for pre-schoolers and accompanying adults. Year-round opportunities to explore nature at the BioPark with your child. Registration for spring 2019 begins Wednesday, Nov. 7, 2018, at 8:30 a.m.
Weekly classes alternate between the Zoo, Aquarium, Tingley Beach and Botanic Garden. Tuesdays (January 15-April 9) from 1-2:30 p.m.
Wednesdays (January 16-April 10) from 9:30-11 a.m.
First six-week session: Tuesdays (January 15-February 19) from 1-2:30 p.m. OR Wednesdays (January 16-February 20) from 9:30-11 a.m.
Second six-week session: Tuesdays (February 26-April 9) from 1-2:30 p.m. OR Wednesdays (February 27-April 10) from 9:30-11 a.m.
$175 for entire 12-week session. $90 for one six-week session. Cost includes one child and one adult. Up to two additional children are $80 each; this also includes those children not participating in the class, regardless of age. Member Discount: NM BioPark Society Members receive a 10-percent discount. Must provide membership information at time of registration. Group size is limited. Pre-registration is required, and participation is reserved only upon receipt of payment. Explore the Zoo, Aquarium, Botanic Garden and Tingley Beach with your pre-school child. 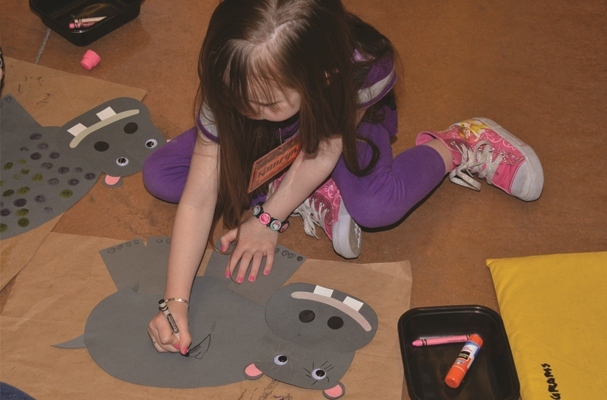 Each weekly class includes songs, games, crafts, and visits to the BioPark’s exhibits. Join us during the this semester for an exploration of the wonders of Africa. Activities are designed for ages 3-6 and are facilitated with active parent participation. Classes alternate weekly between the Zoo, Aquarium, Botanic Garden or Tingley Beach. Registration is now open. If you have questions, call BioPark Education at 505-848-7180. Pre-school Teacher Ann Gallegos brings more than 30 years of experience in elementary and early childhood education to the program. Her curriculum is specially designed to teach about each continent, plant and animal. Ms. Ann is a dynamic and enthusiastic teacher who sparks imaginations and excites the senses of young students. "We loved the structure of the class, the songs, the animal facts, the crafts, and especially Ms. Ann!" "I loved the interaction with the kids while learning. The hands on really helped." "It’s educational for adults, too." Refunds are given if requested at least two weeks prior to the start of the first day of class, minus a $25 processing fee. No refunds will be given if requested within the two weeks prior to the first day of class or once classes begin.